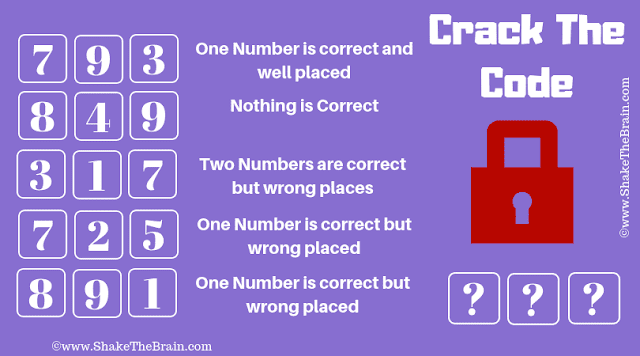 Here is the Crack the Code brain teaser to test your logical reasoning skills. In this Puzzle Picture, there is 3 digit code which is required to open the lock. Five hints are given to decode the correct lock code. Can you crack this code and open the lock? Will you crack the code and open the lock? Check Out Can You Decipher The Code And Open The Lock?